It was so warm here today all the snow melted away. We headed into Boston this afternoon to walk around and enjoy the warm weather. 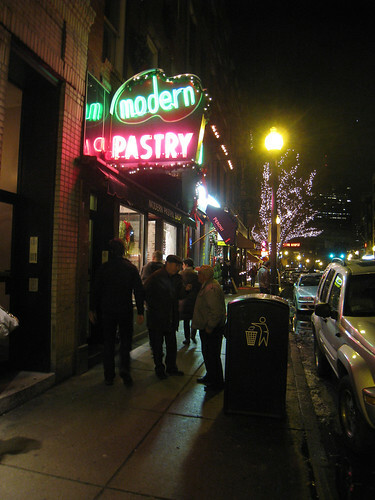 How could we not end the day with a yummy cannoli from Modern Pastry in the north end? I love the photo below with the two italian guys arguing outside the shop.